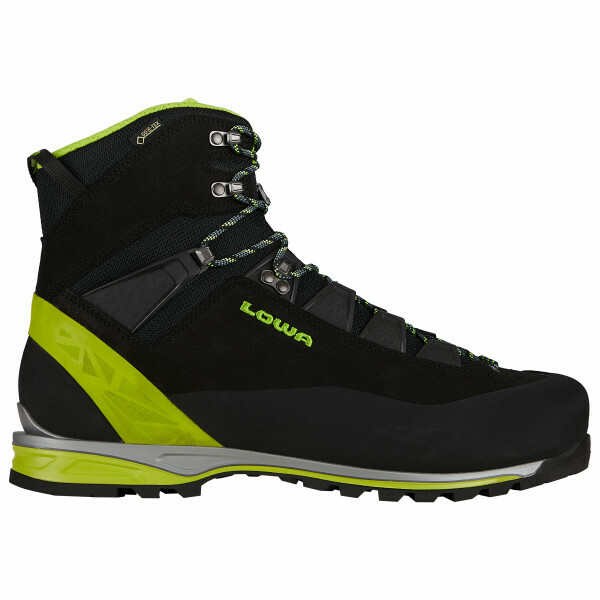 The Alpine Pro GTX Leather mountaineering boots from Lowa boast a close to the ground and close to the rock construction. This means that despite the grippy Vibram Alp Trac sole and the integrated shock absorber, your foot will sit deeper down inside the foot, resulting in optimal ground contact. Plus, the distance between the rock and your toes has been reduced to a (comfortable) minimum as well. Thus, the tough suede mountaineering boot will perform just as well when you're mountaineering as it will on technical approaches and high mountain tours. Of course, the Alpine Pro GTX Leather wouldn't be complete without a wide rubber rand, crampon-compatible sole and waterproof and breathable Gore-Tex membrane.